A mock H-Block cell was constructed in Andersonstown Sunday to mark the 25th anniversary of the death of hunger striker Mickey Divine, the final volunteer to die resisting criminalisation. Hailing from Derry, Mickey Devine died after spending 60 days on hunger strike. He was the third INLA member to perish in the 1981 campaign that saw ten republican prisoners lose their lives. He died on the day voters went to the polls in Fermanagh and South Tyrone to elect an MP to replace Bobby Sands, the first to die on the hunger strike. A founder member of the INLA, Mickey Divine was serving a 12 year sentence in the H-Blocks for firearms offences and spent four years as a blanketman before joining the hunger strike which had already claimed the life of his friend, Patsy O’Hara. Local Sinn Féin councillors, Paul Maskey and Chrissie Mhic Giolla Mhin, took part in the Andersonstown 1980/1981 Hunger Strike Committee commemoration by participating in a 12-hour fast in the mock H-Block cell located on the Andersonstown Road on Sunday. Speaking before a white line picket along the road, Councillor Maskey paid tribute to the local committee for their work over the last number of months. “I would like to commend the hard work of this local committee. It is mostly made up of ex-prisoners, who have indeed inspired wide participation in the range of events since March. “Their consistency and determination to pay tribute to each of the families of the hunger strikers equally must be commended. “Today we commemorate the sacrifices made by a Derry man 25 years ago, in the heart of Andersonstown. Councillor Mhic Giolla Mhin added: “It was an honour to be associated with many who participated in the prison protests of 1980 and 1981. “This small token of fasting for twelve hours in a mock cell on the Andersonstown Road was designed to send out support and solidarity to the families. As his final days on the 1981 hunger strike loomed, 27-year-old Michael Devine asked for his two children, Michael Jr and Louise, to be brought to the hospital wing of Long Kesh prison. It was to be an emotional visit. By that stage the ravages of Devine’s fast had rendered him blind. His life was now quickly ebbing away. Michael and Louise were brought to Long Kesh by their aunt Margaret – Mickey Devine’s only surviving family member. For Michael Jr, that last visit when he was just eight years old is seared into his memory. “I remember the prison hospital pretty well,” he says. “On one of the last visits we were brought to his bedside at each side and he held our hands. Michael Devine is now 33 – older than his father was when he took the decision to join the prison protest that saw ten republican prisoners fast to the death in a bid to gain political status. Devine Jr (Óg) is soft-spoken and politically astute. He is committed to the same republican socialist ideals that his father died for. The hunger strike and his father’s death have dominated his life. At times, he admits, it has almost become too much for him. Mickey Devine was the last of the hunger strikers to die. His funeral saw tens of thousands of people follow his cortege through Derry’s Creggan estate. During this reporter’s interview with Mickey Jr, we look at pictures of his father’s hearse flanked by INLA volunteers as the funeral snaked its way through the Creggan estate. There are other pictures of Mickey Devine lying in state with an INLA guard of honour. At the age of eight, Michael Jr says that he knew what was happening. On August 20, 1981, Michael and Louise Devine were awoken at 7am to be told that their father had died. “We were sat down and told by our mother. I remember crying but even then I had a fair feeling of that coming – but it was still a shock at that time. Devine’s funeral witnessed one of the biggest colour party displays by the INLA. Michael Jr and Louise were taken the short distance to the city cemetery by their aunt Margaret and Theresa Moore, who had visited Mickey Devine daily during the latter stages of his hunger strike. Theresa Moore, who was an Irish Republican Socialist Party (IRSP) welfare officer at the time, was appointed as one of Mickey Devine’s ‘surrogate’ family. She remembers Devine’s fondness for his son. “On his son Michael’s birthday, Michael borrowed £2 to put in a card for him. I said to him: “You can’t die now Michael Devine – you owe me £2. “He could hear everything, but he couldn’t speak,” she says. The late Margaret McCauley would talk often of Michael Jr and Louise’s last visit to their father. In several interviews she recalled Devine – who could no longer see – feeling the faces of his children with his hands. She recalled looking back at a “dying skeleton of a man” with tears streaming down his face as she took the children out of the room. Devine had endured a hard life. His father died when Mickey was a young boy. Devine found his mother dead when he was a teenager. He married young but the union ended in separation. He also underwent four years of suffering ‘on the blanket’ in the H-blocks and finally the physical and mental torture of hunger strike. Michael Jr remembers standing in the cemetery as his father was laid to rest. Devine Jr says that his schooling suffered. He was no longer a young boy enjoying a normal existence. Everyone at his school knew who his father was and what had happened. It was something that he could not escape. Michael Devine says that he first began to really understand his father’s motivation and sacrifice when he entered his early teens. “I was thinking politically at a very young age,” he says. “I was always surrounded by his former comrades and at the age of 13 or 14, I remember becoming very politically aware of what it was all about. It was important for me to have my father and his politics honoured. In 2001, Michael Devine took a step that he admits “nearly wrecked” him. In Turkish prisons, many socialists joined “deathfasts”. Devine Jr felt duty bound to show solidarity with the hunger strikers. Michael Devine says that his father’s sacrifice is a source of pride. “I’m proud of him and his politics for the working class. It has dominated my life and sometimes I have tried not to let it dominate my life, but it is always there. It’s something that will be there in 80 years time. The hunger strike is never going to go away. I’m also proud of his former comrades and proud of them putting on such a fitting tribute to him on the 25th anniversary. Yesterday hundreds of republicans in Derry turned out to commemorate the anniversary of Mickey Devine’s death. A plaque and murals in his honour were unveiled. The murals feature the signature image of Mickey Devine smiling benignly. His image is one of the most recognisable in his home city. On June 22, 1981 Devine had completed his fourth year on the blanket and joined Joe McDonnell, Kieran Doherty, Kevin Lynch, Martin Hurson, Thomas McElwee and Paddy Quinn on hunger strike. He became the seventh man in a weekly build-up from a four-strong hunger strike team to eight-strong. He was transferred to the prison hospital on Wednesday, July 15, his 24th day on hunger strike. With 50 per cent remission available to conforming prisoners, Devine would have been due out of jail the following September, but the criminalisation policy of the British government spurred Devine to face death within the walls of Long Kesh. Micky Devine died at 7.50am on Thursday, August 20, 1981. On the same day nationalist voters in Fermanagh/South Tyrone were beginning to make their way to the polling booths to elect Owen Carron a member of parliament for the constituency. In the months that followed, prisoners in Long Kesh were granted most of the privileges they had fought for, first on the blanket protest, and then on hunger strike, by Margaret Thatcher’s government. A large mural of Devine is painted on the gable wall of the home of his late sister Margaret. On the death of INLA Volunteer Michael Devine at 12 minutes to eight on Thursday, 20 August 1981, his brother-in-law Frankie McCauley said, "One thinks,'Ten men, how many more have to die? We have ours now over us. Next week it will be big Laurence's people waiting for the same thing. Then the Devlins after that and another boy will go on hunger strike and another. They'll never break them.'" Michael Devine was the last of the Hunger Strikers to die in 1981. His funeral took place on Saturday, 22 August in his native Derry city, in a grave next to his friend and comrade Patsy O'Hara, who died the previous May. The funeral went from Devine's sister's home in Rathkeele Way directly to the cemetery after Requiem Mass in St Mary's chapel. People came from many parts of Ireland to attend and a long queue of mourners lined up outside the house to pay their respects. Thousands gathered in the street as the coffin was removed from the house, flanked by an INLA guard of honour, followed by relatives and then representatives of the families of the other Hunger Strikers. Conversation on the day revolved around the courage and determination of the Hunger Strikers and the wavering attitude of the Irish Government, the SDLP and the Catholic hierarchy. Another topic of conversation was the election in Fermanagh/South Tyrone of Owen Carron, who attended the funeral. He was repeatedly mobbed by well-wishers. Three British military helicopters flew overhead. The cortege made its way to the top of the cemetery and to the plot where Michael Devine's comrade Patsy O'Hara was buried three months previously. A piper playing laments was followed by a guard of honour of eight men in uniform. The two leading Volunteers carried the Starry Plough and Tricolour, followed by six more carrying semi-automatic shortarms in their belts. Three drummers then marched silently forward. A second guard of honour of 16 men flanked the coffin on the last few yards of its journey. Margaret McCauley walked behind the coffin with Michael Devine's two children, Michael (jnr) aged seven and Louise aged five, and Michael's aunt Theresa Moore. The coffin was laid on trestles and the firing party stepped forward and delivered three volleys of shots over the remains of their comrade. This salute was greeted with loud applause. Terry Robson chaired the ceremony and praised the deceased Hunger Striker who was the former O/C of the INLA prisoners in the H-Blocks. Wreaths were laid on behalf of all the Hunger Strikers' families, the INLA, the IRSP, the National H-Block/Armagh Committee, the IRA and many others. A girl piper played the H-Block song and a bugler played the Last Post. The flags were then removed from the coffin for presentation to Margaret McCauley. "The colours", Terry Robson said, "include the Starry Plough and the national flag, the Tricolour. It will also include his beret, his gloves and his belt - denoting his rank as an officer in the Irish National Liberation Army." A statement from the Army Council of the INLA was read out. It said: "The Army Council and Volunteers of the Irish National Liberation Army deeply regret the death of Volunteer and Hunger Striker Michael Devine. The Irish National Liberation Army applauds his heroism in the face of the most extreme deprivation and horror. "As Officer Commanding our Prisoners of War in the concentration camp at Long Kesh, Michael relentlessly pursued an honourable settlement for the protesting prisoners, not in any elitist disregard for the rights of others, but in the full knowledge that his struggle was merely an extension of the same struggle for which he was incarcerated." The INLA statement went on to say, "The creation of the H-Blocks, a development unseen in the history of the sophisticated torture machinery of British imperialism, brought a new unity amongst anti-imperialist organisations and saw a degree of co-operation between people as our nation reacted in horror at what really was going on inside the corrugated and barbed enclosures of Long Kesh." The main oration was delivered by Naomi Brennan, the Chairperson of the IRSP. She described Michael Devine as "a revolutionary, a soldier, but above all a socialist". She went on to say that Devine saw from the "reality of everyday life in his native Derry what British imperialism means in Ireland. He saw the long years without hope on the dole. He saw the discrimination and gerrymandering from the fat cats behind the Derry walls, and he liked none of it." Brennan said that Michael Devine was only a youngster when the RUC batoned the civil rights protestors in 1969, adding that the lessons of the period were not lost on him. She said that 1969 was a time when people had at long last found their voice, learned to stand and demand their rights and that "to stand and fight was far better than 50 years of bending the knee". On Michael Devine's socialist politics she said that Michael "realised that to have national freedom, we must have socialism, and that, also, to have any chance of socialism, we must have national freedom". Again on Michael's ideological beliefs she said that his "dedication to the socialist cause was a well thought-out one and one which he put into practice. He realised that you had to organise the people to struggle for themselves; that you had to organise a revolutionary party to guide and direct that struggle; and that you had to organise military resistance to give backbone to that struggle, because that was the only thing that the British had ever really listened to." She said the prisoners' 5 just demands could, and must, be won. On hopes for the future she remarked, "The hope we have is not in the droppings from this or that British Government, much less from the well-oiled phrases of the SDLP politicians and their likes. No, the hope we have is in the spirit of Michael Devine, unquenchable even in the jaws of death itself. "While Ireland brings forth young men and women such as him there is hope now and for the future - a certainty that the cause for which Michael Devine gave his young life is just, and is necessary, and we must see it through to the end. And we will." Micky Devine took over as O/C of the INLA blanket men in March when the then O/C, Patsy O'Hara, joined the hunger strike but he retained this leadership post when he joined the hunger strike himself. Known as 'Red Micky', his nickname stemmed from his ginger hair rather than his political complexion, although he was most definitely a republican socialist. The story of Micky Devine is not one of a republican 'super-hero' but of a typical Derry lad whose family suffered all of the ills of sectarian and class discrimination inflicted upon the Catholic working-class of that city: poor housing, unemployment and lack of opportunity. Michael James Devine was born on 26th May 1954 in Springtown, just outside of Derry city. He grew up in the Creggan area of Derry, where he was raised by his sister Margaret and her husband after both parents died unexpectedly when he was age 11. Mickey was witness to the civil rights marches of the late 1960s in Derry in which civilians were often brutally attacked and the trauma of Bloody Sunday. In fact, Mickey himself was hospitalised twice because of police brutality. In the early 70s, Mickey joined the Labour Party and the Young Socialists. Then in 1975, Mickey helped form the INLA. In 1976 he was arrested, and sentenced in 1977 to 12 years after an arms raid in County Donegal; he immediately joined the blanket protest. While on hunger strike an appeal to Irish workers he drafted was smuggled out of Long Kesh and it was this letter to Irish workers that was read at factory gates throughout Ireland. Mickey was 60 days on hunger strike; he was the third INLA Volunteer to join the hunger strike and died at 7:50am on 20th August 1981. He died as he lived: a Republican Socialist. Remember him with honour and pride. It's hard to know what way to behave when a friend and a comrade is slowly dying on Hunger Strike just a few cells away, everyone of course tries to put on a brave face and act normal but both he and we know that it is only make believe. We've organized story telling and singsongs to keep up his morale, ours too, but it's hard, very hard. It won't be long now until he's taken away to join the other Hunger Strikers in the prison hospital and then? Well it seems that only slow terrible death awaits them all. We try to shout words of encouragement but what can you say to a dying man. The screws for their part keep him as isolated from us as possible and go out of there way to taunt and belittle him, yet in their midst he, like his comrades is a giant. If they even had one ounce of their courage if even they had a spark of decency, decency from these who have tormented us all these years? Compassion from these who have made all this suffering necessary? No, not even a friendly word, not even a word of sympathy during the long days and nights of agony but then neither he nor we expect it. We know only too well that these people have been put here to torment and persecute us and they have done their job well but not well enough. They have served their British masters, the poor pathetic fools, they think that inhumanity and cruelty can break us, haven't they learnt anything? It strengthens us, it drives us on for then more than ever we know that our cause is just. Bobby Sands, Frank Hughes, Patsy O'Hara and Raymond McCreesh hunger for justice, they have suffered all the indignities that a tyrant can inflict yet still they fight back with their dying breath. Only a few yards from here, four human skeletons lay wasting away and still the fools the poor pathetic fools cannot break them. Even death will not extinguish the flames of resistance and this flame will without doubt engulf these who in their callousness and in greed have made all this necessary. Britain you will pay! "I refuse to change to suit the people who oppress, torture or imprison me, who wish to dehumanise me…I have the spirit of freedom which cannot be quenched by the most horrendous treatment. Of course, I can be murdered, but I remain what I am - a political prisoner of war"
Michael Devine was born May 26th, 1954 on the former American army base, Springfield Camp, outside of Derry City. Unlike his comrades on hungerstrike, Micky did not come from a typically extended family. His father died when he was only 11 years old and his mother when he was a teenager. He grew up fast and fiercely nationalist. Jennifer McCann was a comrade of Bobby Sands and a protesting prisoner in Armagh Jail. She remains a republican activist and here talks to ELLA O'DWYER about her memories of the 1981 Hunger Strike. Jennifer McCann, from the Twinbrook area of West Belfast was arrested on 5 March 1981, five days after Bobby Sands started his fast to the death. She knew the Sands family before her arrest. "I'd have been running around with Bobby's sister Bernadette and had been in and out of the house." When she was 12, McCann's family, like so many others, including the Sands family, had to leave the predominantly loyalist Rathcoole area of North Belfast, going to live in Twinbrook. Jennifer McCann recalls intimidation from loyalists as she went to school. She remembers that at about the age of eleven she and her schoolmates encountered fear. "We used to have to go through a loyalist area called Mount Vernon. The intimidation got so bad that we had to wear our own clothes to school rather than our uniforms so they couldn't be identified. We were just kids." Along with an early introduction to loyalist sectarianism, McCann's interest in Irish history influenced her decision to join Cumann na gCailiní, the republican organisation for girls. Na Cailiní carried out tasks such as selling Republican News and marching at commemorations. Young republicans came under heavy attention from the crown forces. "Growing up in West Belfast you were used to being arrested. I was arrested five times before I was 18. It was known as screening." When she reached 17 Jennifer McCann joined the IRA and Bobby Sands was her local leader. "He was a great role model and great with young people. He always had time for everybody and brought himself to your level. He was never arrogant and treated everybody with respect. Bobby was already a leadership figure in his community." Asked if Bobby Sands was all seriousness, she said Bobby was a singer who enjoyed a social evening and was very good at bringing people together: "He always had the guitar and would sing a song." When McCann was 20 she was arrested and taken to Castlereigh after an IRA operation. An RUC member was shot in the incident and Jennifer herself was injured along with another comrade. On arrest they expected a thrashing and they weren't disappointed. "We got a bad beating, both on the spot and afterwards in Castlegreagh." She and a co-accused called Joe Simpson got a beating. They were sentenced to 20 years. While not recognising the court, Jennifer McCann declared aloud that Bobby Sands and his comrades were political prisoners and so was she. 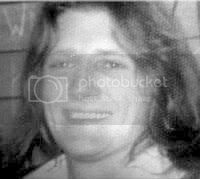 In his diary entry for Friday 6 March 1981 Bobby Sands says: "My friend Jennifer got 20 years. I am greatly distressed." This forced the women onto a no-wash protest just as it had forced their comrades in the Blocks. By the time McCann had arrived into the remand wing of Armagh Jail the women had been on the no-wash protest for about six weeks. Remand and convicted prisoners could only meet at Mass on Sundays. Because the women prisoners could wear their own clothes and didn't have to wear the blanket, they took visits. The protesting prisoners would ask Jennifer and the other remand prisoners if there were a smell from their bodies. As young women, they had also to deal with monthly menstruation, a factor that is often lost on people. Towards the end of 1980, at the height of the first Hunger Strike, the women POWs in Armagh decided they would join their comrades in the Blocks on the fast. The numbers in Armagh were proportionately low in terms of the women's capacity to maintain the kind of momentum that could keep pressure on the British Government and yet three women joined the fast - Mary Doyle, Sheila Darragh and Mairéad Farrell and stayed on it until the first hunger strike ended. Asked how the prisoners in Armagh coped with the realisation that their comrades in the Blocks were dying while they could not even go on the streets and protest, McCann says: "It was kind of surreal. We had a small crystallised radio and were aware of what was gong on. We also had a very good 'comm' system. "One of the hardest days was when Dolores O'Neill, who was engaged to Thomas McElwee, found out that her fiancée had died. She had finally been allowed a visit him in the hospital and came back feeling upbeat. The next day Thomas was dead." Recently Jennifer McCann made a visit to the hospital wing of the H-Blocks: "That day I thought about what the families went through and the physical pain the men endured." "The Hunger Strike opened up the struggle to everyone. People who might formerly have seen themselves as spectators in the conflict could now get actively involved in building political strength, just as Bobby Sands had been within the Twinbrook community." By way of closure she added: "This conflict has been a long and hard one and I have seen a number of close friends and comrades die long before their time." She went on to recall Bobby Sands's well-known words "Let our revenge be the laughter of our children". For McCann the struggle is about future generations living in a just and peaceful society. Jennifer McCann is married with three children and now works with a community drugs programme in the Falls Community Council." Now 25 years on, the memory of the Hunger Strike is very vivid for her. "From the day Martin went to jail my father never said he was wrong or he was right, which was surprising really. He just went along with the rest of us. He never passed any remarks, never criticised. Religion was very important to him. He would have had all the regalia, books, medals and the like. I had given him a rosary beads in Crumlin Road after he was charged and my wife Sheila gave him a medal of St Martin and funny enough these two things were left out in a special envelope when he died. My wife to this day wears that medal and if any of the children are sick she'd get that medal to them." Brendan has eight children and they know all about Martins' story. "They can remember visiting the prison when they were very young. Martin stood [as godfather] for the oldest girl Brenda." Was there was something special or different about Martin that made him able to go through the Hunger Strike? Each family had to make their own decisions. "He said at one time that if any of us came into the prison to take him off, they weren't welcome." The Hursons chose to stand by Martin's decision. Thomas McElwee, at the age of 23, was the 10th man to join the 1981 Hunger Strike. From Bellaghy in South Derry, he was imprisoned in 1976 after a premature bomb explosion in which he lost an eye. Thomas was a cousin of another Hunger Striker, Francis Hughes, both coming from Bellaghy. They had been boyhood friends, both going on to join the IRA. On 10 August 1981, for the second time in three months, Bellaghy was visited by thousands of mourners gathered to pay their respects to another deceased Hunger Striker. McElwee died on 8 August on the 62nd day of his fast. Francis Huges died three months earlier on 12 May. The RUC and British army converged on the roands around Bellaghy and six British army helicopters hovered overhead. Thomas's brother Benedict had been denied a visit with his brother the previous week and was then callously asked to identify the body when he died. IRA and Cumann na mBan guards of honour lined the path to the McElwee home as the coffin was carried out by his eight sisters. A volley of shots was fired over the coffin as the cortege reached the road. The crowd in the fields and hillsides cheered as the firing party disappeared out of range of the crown forces. Two pipers lead the cortege along the five mile route to the church for Requiem Mass. Thomas's brother Benedict was allowed 10 hours parole for the funeral. In another instance of church interference in the Hunger Strike, the priest at the Mass in Bellaghy Parish Church criticised the Hunger Strikers and called for and end to the fast. Some women in the congregation got up and walked out, disgusted that the priest would use the pulpit on such a tragic occasion to deliver an insulting, political speech. Thomas McElwee's dying wish was to be buried beside Francis Hughes. The gravseide oration was given by Danny Morrison, then Sinn Féin Directore. Thomas McElwee has been described by friends as being "sincere, easy going and full of fun". He was also intelligent and determined, something Morrison captured in his remarks on the young Volunteer; "I know that the McElwee family, just as the families of other dead Hunger Strikers will know what I mean, when I say that their son was invincible from beginning to end, in life as well as in death." Morrsion went on to criticise the Church and the SDLP for their cultivation of defeatism throughout the Huger Strike as opposed to pressurising the British government to come to a just resolution of the protest. He referred back to the sermon delivered earlier at McElwee's Requiem Mass. "Those of you who were able to hear Fr Flanagan's sermon today will have been struck by what is wrong with the Church's politics. We were asked to pray for an end to the Hunger Strike, for an end to violence and for peace", he remarked adding that certainly people should pray for an end to the Hunger Strike and violence and pray for peace. "But", he added, "there is a bigger prayer which we have to make, and that is a prayer for an end to the cause of violence - the British occupation of our country. It is time the Church prayed and called for that." In his oration, Morrison also called for decisive and effective action at ambassadorial and international levels on the part of the Irish government. "The Free State government, like many other influential bodies in Ireland which represent the vested interests, have not got the welfare of the prisoners at heart and would quite frankly like to see the hunger strike collapse", he said. Morrison also noted and condemned the increasing tendency at the time to apportion blame for the Hunger Strike to the republican leadership. "For some time now it has been open season for apportioning blame for the continuation of the Hunger Strike on the leadership of the Republican Movement." This was, he said, just a variation of former Secretary of State Roy Mason's theme in 1976 and 1977 where the implication was that the prisoners were forced on the blanket protest by those on the outside. Identifying the real roots of the issue, Morrison said: "The roots of the hunger strike were built into the British H-Blocks, into the British policy of criminalisation which forced the men on the blanket five years ago and which led ultimately to republicans resorting to the traditional weapon of hunger strike as the ultimate means of gaining their demands." Neither was Danny in any doubt as to the continued determination of the republican POWs in the Blocks. "Their determination has not waned", he said, stressing that neither should their supporters on the outside lose resolve. "Despair is easy; our enemies want us to despair. To struggle on is a harder task but the reward is there at the end of the road and Thomas McElwee will be proud of us, as we are proud of him, if we play our full part in winning this prison struggle, in winning, as he set out to win, Irish freedom from the ruins of British rule. "I'm very, very proud of my brother"
Thomas McElwee's brother Joe talks to An Phoblacht's ELLA O'DYWER about his recollections of Thomas as a brother and a republican and the impact of the 1981 Hunger Strike on a younger generation. Thomas McElwee from Bellaghy, County Derry was the sixth oldest in a family of eight girls and four boys. Cars were the young Thomas's passion and he wanted to be a mechanic. His brother Joe recalled how "he loved cars and fixing them, taking them apart and building them up again. Sadly he never got to spend his life working with cars". Joe recounted the local garage man's recollection of Thomas in his late teens sitting in the corner of his garage on winter nights. "He'd be sitting twiddling his thumbs, wondering what to be at. He was always thinking; always had something on his mind." He was a born mechanic Joe recalled: "There was no such thing as bin lorries in those days. Everyone had their dump and Thomas would go round looking for bicycle or pram wheels to make up carts or the like." "It came as quite a shock at the time. Everything was very secretive. Then, I found out he was arrested when I came home and found the yard full of cars." Thomas and another brother Benedict were injured in a premature explosion and Thomas lost an eye. The family had all gathered around to hear news of the two men. At 23 Thomas was the youngest of the Hunger Strikers to die. Both Thomas and his brother Benedict volunteered for the 1980 and '81 hunger strikes. Asked if he had tried to dissuade Thomas from going on the fast Joe says no. "He was a mature adult, he had his own mind, he knew exactly what he was doing. "There's a lot of the prisoners, I think, who find it very, very hard to talk about that time because the gravity of the abuse they got in there was fierce. There was no measure left but hunger strike, to get the world to sit up and take heed." Both of Thomas's parents were alive when he died and Joe believes that it was his mother's faith that got her through that period. She had already lost four children before Thomas died. Thomas too was religious. "Thomas was very, very religious. His scapulars and rosary beads were handed back after he died." Did Joe get to see Thomas before he died?
" I got in to see him when he was 42 days on hunger strike and my memories of Thomas before he died were of my grandfather in his nineties. Thomas was holding his head up with his arm in the bed telling me to keep my chin up. Those were his last words to me. I was only 20 at the time of the Hunger Strike and even though Thomas had been locked up for four years, he had more outlook on life and he seemed to feel for me." On the church's attitude to the Hunger Strike Joe said: "With the religious following they had, they could have given us a lot more help". On Fr. Denis Faul's interventions he said "Fr Faul was putting his nose in where it wasn't wanted. He wasn't invited." He expressed the view that they might have been afraid of losing their grip on the community. "They might have feared that they would no longer be the rulers as they had been over the years and now after 25 years you see why. With the outbreak of scandals and all that, they couldn't speak out. Now you see why. The Brits had them under their thumb because they would have blown the whistle on them." Of Thomas's character he recalled how Thomas would sing all the time. "He loved country and western, especially Philomena Begley. He loved the dances. But they didn't get peace to go to the dances at the time. They'd be stopped and get a kicking on the way." Asked if she felt the family had coped with Thomas's death, Joe's wife Eileen felt people never really got over things like that. "They would try to block it out. They didn't really talk about if for a long time." Joe confirmed that it is still hard. "Around times like this, the commemoration, it's hard. To see men about Thomas's age getting on with their lives with their wives and families - the things he would have desired, you wonder what would have become of Thomas. But it was Thomas's decision to go on hunger strike and today I'm very, very proud to say I've a brother who was a Hunger Striker. How many men throughout the world can say they have a brother like that?" Joe went on to talk about their cousin Volunteer Francis Hughes who died on hunger strike before Thomas. "We're talking a lot here about Thomas", he said. "Francis Hughes was every bit of a brother to me as Thomas was." Referring to the Brits' hatred of Francis Hughes he said: " I couldn't see how Francis could survive when they wanted him dead so much. I knew when they let Bobby die, Francis would die too." Joe went on to describe the friendship between Francis and Thomas "They were mad about fast cars, they'd have the cars around today". He recounted how Francis had given him his first cigarette. "When I was seven years of age I got my first puff of a Benson and Hedges from Francis and we were born buddies then forever. "At the end of the day the 10 men had the last say. They got their demands along with all the other men in the Blocks. They got exactly what they fought for. I know it didn't happen right away, it took time. Likewise this peace process is going to take time as well." Joe's oldest son Thomas is called after his uncle and the family showed a photo of the young man who is the image of his uncle. Like so many other relatives of the 10 men who died in 1981, there are daily reminders for the McElwees. Joe's daughter Aileen had the last word. When asked what she had learned from her uncle Thomas's life she said "to stand up for yourself"
Gerard Lynch talks to Ella O'Dywer about his brother, Hunger Striker and INLA Volunteer Kevin Lynch. Kevin Lynch was the youngest of a family of eight, five boys and three girls. Gerard was the second youngest. They were not just brothers, but friends. Four of the Lynch brothers worked in England in the building trade and while there they got involved locally in Gaelic games, mainly with St Dympna's Club in Luton, members of whom extended their sympathy to the family on Kevin's death. The Lynch brothers never lost their sense of identity while abroad and now and again, as Gerard put it, they'd "have defended Ireland's honour" in one way or another. "Never run away" was the Lynch motto and they didn't. Gerard was living in England at the time of the Hunger Strike and he talked of isolation and a sense of despair. Kevin had also spent time in England with his older brothers and got engaged there. In fact the familiar photo of Kevin seen on Hunger Strike poster was of him on his engagement. But as Gerard put it, "the call was too strong" in Kevin and he returned to Ireland and got involved in the struggle. Gerard recalled how proud and particular about his appearance Kevin was, along with his fun loving nature. He remembered an occasion when Kevin and three other Irish lads got their heads shaved for a bet. "Kevin was a big lad", Gerard recalled. Well into the Hunger Strike his physical presence was striking. "He had a tattoo on his arm and I remember putting my arm beside his and commenting that Kevin's was still wider than mine". Kevin Lynch survived for 71 one days on the fast. Kevin Lynch's passion was sport and Gerard remembered a visit to his brother at the latter stage of the Hunger Strike. Gerard was filling him in on the local news, not least the sports results. He remembers Kevin's arm shooting up in the air "so strong" and it reminded him of the well known photo of Kevin holding the cup aloft after the All Ireland under 16s hurling cup in Croke Park in 1972. Gerard couldn't emphasise enough the strength of his younger brother. "Around the 46 day mark I went in to visit Kevin. The dinner was left at the end of the bed." Gerard said "I couldn't do what you're doing", to which the Hunger Striker replied, "You would if you were in here." Asked how he and the rest of the family coped when the anniversary came round, he said: "You tend to put it to the back burner, but there's not a day goes by but you think of him." The Lynchs are a very close-knit family and share their views, thoughts and memories. As Gerard was talking, his sister Bridie recalled an incident that illustrates something of the fun loving, affectionate nature of Kevin and his inclination to 'devilment'. "One evening the lads went out for a couple of drinks. A popular Charlie Pride number called All I Have to Offer You is Me, was often aired on the radio around that time. When they came home and arrived into the kitchen, Kevin grabbed my mother, lifted her up and waltzed her around the room." Strength combined with joyfulness is how the Lynch family recall the youngest of their household. Both Kevin's parents were alive in 1981. "It was heartbreaking to watch them", Gerard recalled. "Over the years my mother began to question whether or not she should have intervened and prevented Kevin's death. I reminded her that she had given her word to Kevin and that he, like herself, was a person who would never break his word and once he had gone on the fast he would not break. He didn't pick his determination and strength off an apple tree." Gerard felt that his family had come under heavy pressure from the Irish Commission for Justice and Peace (ICJP), an organisation largely influenced by the Church. "They were well meaning people, but they were hoodwinked and I told them so." Kevin's parents were very religious and on one occasion when Gerard was going to "have words" with the local priest, his father told him to leave the priest alone; "you might need him yet." Gerard remembers one occasion, on his way to visit Kevin in the hospital wing, being made aware that negotiations to end the Huger Strike were going nowhere. Gerard went into his visit with Kevin and quietly told his brother. Discreetly so that the screws couldn't hear, he said: "It looks like you are going to die." At that Kevin thought for about ten or twelve seconds. The Hunger Strikers were allowed a cigarette, each signed for in a book, and sometimes the allotment stolen by the screws. "Kevin took his left hand and put it behind his head . He took a great big draw of the cigarette he was smoking and said: If I have to die I will." " I knew the man very, very well. We were going about together a hell of a lot. We were good friends you know, apart from brothers, I knew there was no coming back." Like other relatives of the Hunger Strikers, the men are remembered for their determination and their ability to strengthen those around them. Gerard had met Thomas McElwee and Big Doc briefly in the hospital as he went to visit Kevin in the hospital wing of the Blocks. "I went in with, how would you describe it? - compassion and a kind of futile hope wanting to comfort him. At that stage he was going down. I went in a despairing man and came out a man of steel." The sight of eight sisters carrying the remains of their brother has become one of the most haunting and powerful images captured during the closing days of the 1981 hunger strike. The enduring image was beamed across the globe in the hours after Thomas McElwee was buried in the Co Derry village of Bellaghy on August 10, 1981. Seen by millions of people, the image of eight young Irish women walking their brother to his final resting place gave the world a glimpse of the dignity with which the McElwee family shouldered their personal pain. Just two days earlier the girls’ 23-year-old brother saw out his final hours surrounded only by prison officers in the hospital wing at Long Kesh prison. Even after 62 days without food, Thomas McElwee was denied the comfort of his family and loved ones by the cruel prison regime he had challenged for the previous three and half years. Tom McElwee was the sixth of 12 children born into his parents’ home at Tamlaghduff Road near Bellaghy in November 1957. The small whitewashed house sits just a few hundred yards from the family home of his cousin Frank Hughes, who died after 59 days on hunger strike in May 1981. The two young men now lie side by side in the grave yard at St Mary’s church in Bellaghy. Although captured separately, the cousins both suffered serious injury before being arrested and were subjected to years of abuse from prison staff at Long Kesh as a result of their disabilities. Thomas McElwee lost an eye after a premature explosion in Ballymena, Co Antrim, in 1976. The Bellaghy man required emergency treatment at the Royal Victoria Hospital in order to save his remaining eye. His friends Colm Scullion and Sean McPeake were also seriously injured in the blast while his brother Benedict suffered from shock and burns. After his arrest, Thomas refused to make a statement and was eventually sentenced to 20 years behind bars. The Bellaghy man immediately went on the blanket protest along with his younger brother Benedict. Friend and former comrade Ian Milne spent several years on the blanket and has vivid memories from that time. “One of things that strikes me from that time is Tom and Frank’s funerals. Setting aside the commotion that went on trying to get their bodies home, their families were not allowed to bring their remains through the town of Bellaghy when they were getting buried. “Instead of taking the straight road through the town as their families had done for generations they both had to be driven to the graveyard through countryside roads. That’s still hurts both families. They were not allowed to take their sons straight to the graveyard to bury them. “They brought in thousands of RUC men and troops to make sure both men could not pass through the town. “Twenty-five years ago republicans were not allowed to travel through Bellaghy but republicanism in that town and around south Derry is very strong now and things have changed a lot. The time when the British and unionist businessmen could stop people from going through the town has gone – it is now a republican area. Now the Sinn Féin chairman of Magherafelt District Council, Mr Milne says men like Tom McElwee had no option but to commit to a hunger strike. “The British were steadfast in opposing any compromise. But republican prisoners were not criminal. How could anyone involved in the conflict put a prison uniform on. There was just no other way at that time. I can’t believe the brutality heaped on the prisoners at that time. In many ways we became used to the prison regime. It was only when I went back to Long Kesh about a year and a half ago that I realised the immense psychological and physical torture we were put through each day. I was scalded myself. The former prisoner says the hunger strike was about more than just the prison issue. “I think for the British it wasn’t just about defeating the prisoners, it was about defeating the IRA and the struggle against British occupation. The Brits hoped to break the struggle by breaking the prisoners. It was never going to work. The hunger strikers were ordinary people and they lived like the rest of us but they were also exceptional people because not everyone can die on hunger strike. Today marks the 25th anniversary of the death of Thomas McElwee on hunger strike. When you see the official photograph of Thomas McElwee on hunger strike posters, a 3/4 profile, he looks like a choir boy. When you look into his left eye -- you can’t help but -- there’s mischief. A twinkle that black and white photography and death don’t dim. He lost his other eye in a premature explosion on an IRA operation with his brother Benedict. He was nineteen. Benedict was seventeen. A comrade, Colum Scullion, lost several toes and Sean McPeake’s leg was blown away. He looks directly at you through the camera, like he knows something that you know too. Even if you don’t want to admit it, he knows you share this secret. If you don’t see it, he isn’t looking at you. Paddy Quinn’s being taken off his hunger strike by his mother was a serious morale problem. Would other parents do the same? The Doherty and Lynch families held firm, but it set a precedent that could be followed, and with Fr. Faul working behind the scenes, the hunger strike was on less solid ground. Now, one of the hunger strikers, Pat McGeown, was challenging the basis of the strategy of hunger strike, more like a devil’s advocate than a truly dissenting voice, but he was still negative about the whole approach and believed that the prisoners needed to be more practical and flexible, working both inside and outside the system to destroy it. Once the men decided to commence the strike, he, like the man and committed republican he was, put his name forward and was accepted. On the 18th day of his fast, Pat was moved early to the prison hospital with a severe respiratory illness. After the Quinn situation and the deaths of Kevin and Kieran, he again expressed his doubts; this time privately to Bik McFarlane. In fact, he told Bik he wasn’t sure he could go the whole way through with his fast. Pat and Bik had a talk, exchanged comms, and Pat seemed to have settled the matter in his own head. Bik sent out a comm to "Brownie" [a.k.a. Gerry Adams] about the matter: "He has been truthful with us to date which has caused him much pain. It couldn’t have been easy to open up like that. Anyway, I just don’t know now. As it stands I feel I must accept that the inner conflict has ended and has ended favorably. Who can read minds eh?" For sure, Pat was one of the most committed individual in the struggle. The men in H-Block 6 were informally polled to test the waters: approx. 30% wanted to stop, 30% wanted to stay the course although they were not confident of winning, and 40% demanded no compromise. Opinion was mixed, but not commitment; the men were certainly still pulling together with the leadership. Meanwhile, the Dublin government’s Foreign Minister, John Kelly, contacted the Brit Embassy asking for some practical reforms being implemented unilaterally in the Blocks to move things forward in lieu of actual negotiations. The Brits rejected this out of hand. The Irish Commission for Justice and Peace then asked Bik [through Fr. Murphy] to get the men to put a formal request to the Northern Ireland Office asking for a clarification of the Brit position and complaining that there was no meaningful dialogue. Fr. Murphy knew the response before he handed the message to Bik: call for the 5 demands or the ICJP can get lost. On Thursday, 6 August, the families meet with Fitzgerald. They wanted an answer one way or another. They had been going back and forth to Dublin and yet nothing seemed to be happening in terms of support from the Irish government. They told him to support the five demands. No, no, sorry, he couldn’t. Remove the troops from the border. No, no, he couldn’t do that. Remove the Irish Ambassador from London. No, no. Expel the British ambassador. No, sorry, no. So the family members sat down and refused to move from the Taoiseach’s office. Fitzgerald left the room and the gardai came in and removed those inside by force. Mary McElwee was their spokesperson. She read a statement to the press: "... Not only has he failed to act over the death of a fellow TD and elected representative of the Irish people; our forcible eviction today further underlines his lack of commitment to finding a just solution..."
Thomas McElwee was now past sixty days on hunger strike, but he was feeling pretty well. He was certainly lucid and looked better than he should. He wasn’t really sick or in great pain like the others. His girlfriend, Dolores O’Neill, who had been arrested in association with the bomb incident that lead to Thomas’s and his brother Benedict’s arrest and conviction, was released from Armagh jail for a few hours to see him. She was serving a 20 year sentence. It was both beautiful and sad and Thomas was broken hearted when she had to leave, all too soon to be able to say everything that needed to be said. Both knew they probably would never see each other again, perhaps when Tom’s condition became critical she would get another visit. But by then, Tom would not be fit to interact in any real way with anyone. Anyway, the next meeting, they knew, wouldn’t be a happy one. Thomas McElwee was born into a large family of eight girls and three boys. He lead the typical life of a nationalist lad in the South Derry countryside, full of promise but very little chance to rise in the world. Young Tom wanted to study to become a mechanic, but the only opportunity to do so was in Ballymena, Paisley-land, where he was harassed and had his tools stolen. So, he settled into work around his home near the town of Bellaghy on the Tamlaghtduff Road. Frank Hughes was his cousin and their large family and his were close. The McElwee boys, like the Hughes boys and the other nationalist families were constantly harassed by the RUC, UDR and British army. Thomas and Benedict were arrested and taken away for questioning regularly. Still, it came as a surprise when the phone rang with the news of the premature bomb explosion and the condition of the two boys. Fighting the Brits force for force was not necessarily surprising in South Derry. On Saturday, the 8th of August 1981, Mr and Mrs McElwee gathered their large family together to discuss for the first time what to do when Thomas lost consciousness. They invited their family physician to advise them as to the consequences of taking him off at this stage. As he was discussing the medical pros and cons, the phone rang in the hallway, two rooms away. Thomas’s youngest brother James, only a child, picked up the phone, then let it drop from his hand to the floor. A few minutes earlier in his prison hospital cell, Tom was talking in a friendly manner with a medical officer; they got along fairly well. The man went off to get him a light. Tom was smoking cigars up to a few days ago, but had switched to cigarettes. By the time he got back after letting Fr. Toner into the ward, Tom was dead. Pat McGeown and Laurence McKeown heard Tom gasp desperately for air while they were in the exercise yard and then all was silent. They knew he was dead. The returning medical officer and Fr Toner found him in his bed. Fr. Toner was still on the line when Mrs McElwee got to her son in the hall, who was crying, the dropped phone on the floor. "Thomas has died." the priest said. That was all he said to Mrs McElwee. That was all he told young James. "Thomas has died." End of conversation. What his intentions were are anyone’s guess, but compassion wasn’t one of them. None of the family was with Thomas at the end and that was deeply disturbing. Benedict had been refused all along permission to visit his brother, but because of Tom’s time on hunger strike [62 days], he was finally given permission. He was on his way from the Blocks, when he was told his brother was dead, don’t bother. But they needed someone to identify the body, so they escorted him to the hospital anyway. He refused to cry in front of the hospital screws or in the corridors. Back in his H4 cell, he buried his face in his blanket. Bik commed Gerry: "The news yesterday of big Tom’s death greatly stunned us here. It came suddenly and left us pretty numb. He was a terrific character -- a pillar of strength here with the deep respect of every last blanket man. He was fearless and never knew despair... It’s hard to properly describe such a man." Tom was one to take on the screws physically. There was nothing half-hearted about his resistance, even with one eye and other injuries from the explosion. He hit back and hit hard. Once he knocked out several teeth of a screw who had pushed him. He then was beaten badly by five others and taken to the punishment cells for 2 weeks. Big Tom must have felt it was worth it. It wasn’t often that screws got to taste their own blood. Two days later, there was a pitched battle at a meeting of Magherafelt council when Oliver Hughes, Frank’s brother and Thomas’s cousin, moved that the chairman cancel the meeting in honor of Thomas and, as a concession to unionists, in honor of a local man shot dead by the IRA. One of those in attendance was the Rev William McCrea, a councillor and notorious bigot, who rose to object honoring "the murderer McElwee." Chaos ensued. The chairman, Patrick Sweeney, a nationalist, was knocked to the floor in the melee. Oliver smashed a chair over the Rev McCrea’s righteous head before the RUC arrived. Oliver bundled Sweeney into his car and took him limping and battered into the hospital emergency ward. The hospital was crowded with visitors. This grand and pathetic entry was soon topped by the Rev McCrea, who emerged from an ambulance in a wheelchair, his head wrapped in bandages. If it were a cartoon, scores of little birds would be circling his skull. Hughes, incensed, grabbed McCrea by both lapels and swung him out of his wheelchair and around the street like a big, stuffed animal. More mayhem ensued before the unionist calvary, the RUC, arrived to save the day. It is funny now to visualize, but I’m sure it wasn’t so funny at the time. Approximately 1,000 petrol bombs were launched at crown forces over the weekend of Thomas’s wake. Two nationalists were murdered by "crown forces", one by a plastic bullet and the other shot dead by a loyalist death squad. The Brits removed the union jack from the British consulate in NYC. It wouldn’t go back up for a long while. At Tom’s funeral mass, Fr. Michael Flanagan blasted both the British government and the republican movement which he blamed for "ordering" the hunger strike. Several stormed out of the services, including Bernadette McAliskey. Thomas told his sister Mary when he first went on hunger strike: "Nobody is putting this on us but ourselves, Mary. Don’t listen to propaganda like that." Fr. O’Neill, who knew Tom since he was a boy, told Mary that he brother confided in him: "All I’m doing is placing my body between the screws and my comrades." There was no one better for doing that than Thomas McElwee. The family knew the truth. "God keep me for you"
Thomas never did get to see his love, Dolores O’Neill, again. Not in life. When they parted on her visit a few days before his death, he held her in his arms and whispered, "God keep me for you." Maybe that’s the way it will be in God’s time. The eight McElwee sisters carried their brother’s coffin to the grave into Irish history. He was the ninth man to die on hunger strike in occupied north of Ireland in the year 1981. Kevin Lynch died August 1st 1981 after 71 days on hunger strike. On Saturday afternoon April 18th, 1981, I visited INLA political prisoner Kevin Lynch in the H Blocks of Long Kesh prison. Despite the circumstances of my visit; there was extreme tension within and without the prison; Bobby Sands was on his 49th day of Hunger Strike: Kevin had a sound, strong humour on him and was very focused. Towards the end of our visit he stated simply and straightforwardly that he would be next on Hunger Strike to replace INLA volunteer Patsy O'Hara. He said this without any visible signs of trepidation or emotion. Kevin was obviously aware of the seriousness of his words; no doubt much more than I was at that moment. Kevin was obviously a very strong, disciplined, determined, and courageous young man. I could see that clearly in his eyes and his demeanour. At the conclusion of our visit we shook hands firmly, wished each other "good luck", and bade our farewells. Kevin smiled and returned to his cell and his ultimate fate. It was the last time I saw Kevin Lynch alive. allies in Leinster House. Wouldn't the Hunger Strike be resolved without any loss of life? At least that's what I thought and hoped for at the time, however naively. Of course the consequences of what he had said became painfully obvious to me. If Kevin was prepared, as he obviously was, to replace Patsy O'Hara on Hunger Strike then at least four Hunger Strikers, and probably more, would have died. Thirty-six days after my visit with Kevin, Bobby Sands, Francis Hughes, Ray McCreesh, and Patsy O'Hara were dead Their places were taken by Joe McDonnell, Martin Hurson, and Kieran Doherty. It was exactly four weeks to the day since I had visited Kevin in the H Blocks; on Saturday May 23rd 1981, just two days before his 25th birthday, Kevin Lynch began his Hunger Strike. Kevin had been on Hunger Strike for 5 days during the final stages of the 1980 Hunger Strike. Afterwards he spoke these words to his mother. "If they took everything else away, they'd never take my principles. I'll die before they take them from me." Seventy-one days after starting his Hunger Strike Kevin Lynch died on August 1st 1981 in the H Blocks of Long Kesh. I was abroad when he died but managed to get to Dungiven in time for his funeral. Twenty-five years later we commemorate the heroic sacrifice of those Irish Republican and Republican Socialist prisoners-of-war in their struggle for political status. Unfortunately many of those who stood on the white picket lines in all kinds of weather and attended rallies in support of the Hunger Strikers in 1981 must continue to do so again in 2006, 25 years on. The prison struggle goes on in British and Irish jails as the British Government and New Free Staters in Leinster House continue a policy of criminalization against Irish Republican prisoners who refuse to bend the knee to `progress'. 'nor meekly serve their time'; nor blindly accept the not-so-Good Friday Agreement. As Patsy O'Hara said "Let the Fight go on"
"The Dohertys lived on a hill in a nationalist section of West Belfast called Andersonstown. Kieran was the third of six children. His mother Margaret was a Protestant who converted to Catholicism after she married Alfie Doherty. The family was Irish republican through and through. Alfie managed the local Republican Club that helped raise funds for the prisoners’ families after the previous manager was shot dead. Kieran's granduncle, Ned Maguire, had taken part in a famous escape from the Crumlin Road jail in 1943. Two of Kieran's second cousins, Maura and Dorothy Maguire, were shot dead by the British army in 1971. His second cousin Ned was interned and was now on the blanket. In 1972, his uncle Gerry took part in another famous escape from the Crum, when republican prisoners pretending to be playing football leaped over the fences en masse to freedom. At fifteen, Kieran left formal schooling to work with his father as a floor tiler. His brothers Michael and Terence were at that time interned without trial and the Doherty family were constantly harassed and raided. Kieran joined Na Fianna Eireann in 1971 at the age of fifteen. He was arrested almost immediately, but his father Alfie raised hell about his son's age and Kieran was released -- only to arrested and taken away again when he turned sixteen and interned without trial. In November 1975, Kieran was one of the last internees to be released. He immediately went on active service with the IRA in the Andytown area with Joe McDonnell, John Pickering and others. He was mostly on the run as their unit was very active and effective. They say Kieran was a very internal person, but big, very strong and decisive. Once he gave a man a public beating for hitting a woman. He was quiet and shy, but nobody crossed Kieran Doherty. They called him "Big Doc." He was arrested in 1976 after a bombing, with John Pickering [who was to join him later on hunger strike] and others including Terry Kirby [who escaped from the Kesh in ‘83 and was later arrested and held for extradition in the U.S.], and in 1978 was given 18 years. He went on the blanket immediately. He was not an easy man. He would take no orders. He would neither talk to or "hear" screws. He wouldn't even acknowledge the existence of screws! He was beaten unmercifully. Once he was hit, kicked and had his testicles squeezed until he was unconscious because he refused to cooperate on a mirror search. Another time eight screws took him into a room for a rectal search. Kieran treated this as usual. They nearly beat him unconscious but he refused to comply. Next they asked him to open his mouth for an oral search, but he refused again and was punched and karate chopped to get him to open his mouth. He didn't. They took him back to his cell. He refused to wash to see the doctor. He was beaten so badly the doctor came to his cell. Later that night, he began to vomit, probably from the stomach punches and kicks, and was taken to the prison hospital. Typically, Kieran on his release was sent to the punishment cells and charged with attempting to strike a warder. When the first hunger strike was broken through the deceit of the Brits, Kieran was very angry [he was among the last group of hunger strikers in ‘80]: "They are rubbing our noses in it. By God, they will not rub mine." On Friday, 22 May 1981, Kieran Doherty replaced Raymond McCreesh on hunger strike. Almost immediately, Kieran was put forward for the Dail elections. On 11 July, he was elected TD for Cavan/Monaghan. Some thought that this would get the Irish government into action. Kieran was under no such delusions. In the beginning of August, Kevin, Kieran, and Paddy Quinn were all into the last stages of deterioration. The Republican movement was coming under a lot of pressure in the press and from the hunger strikers' families because of the behind the scenes actions of various forces including Catholic Churchmen. Particularly active in this regards was Fr. Denis Faul, whom the prisoners called "The Menace". They were spreading the lie that the Movement was ordering the men on the hunger strike and then orchestrating events. The press loved this angle. When Joe McDonnell died, the Daily Mail [11 July 1981] wrote: "In the blackmailing battle to achieve political status for thugs, they had ordered him to starve to death. To the IRA Joe McDonnell is worth far more dead than alive. The men with the guns are weeping no tears. For them the funeral was no more than another well managed melodrama, another notch on the gun barrel in their propaganda war." The lie that the Movement was keeping the hunger strikers ignorant of what was going on outside the prison was another manufactured problem. Fr. Faul was to thank for this one as well, who stirred up the families that the men were being kept in the dark. It was decided that Gerry Adams, Owen Carron, and Seamus Ruddy of the IRSP would be allowed to go into the Kesh to explain the realities to the men, not that they needed any explaining. Fr. Faul's reasoning was: if Adams and the others told the men exactly what the situation was and explained that the decision to stay on the strike was totally theirs, then the men would come off. The Movement's reasoning for agreeing to the meeting was: the men were always in charge of the hunger strike, so what was to loose? In fact, the hunger strike was costly for the Movement in terms of human loss and resource depletion as well as energy going into one part of the struggle. The men went on hunger strike themselves. They could call it off as easily and the republican movement would welcome the decision. Even if one man decided off, his decision would be respected." "THE EIGHTH republican to join the hunger-strike for political status, on May 23rd, following the death of Patsy O'Hara, was twenty-five-year-old fellow INLA Volunteer Kevin Lynch from the small, North Derry town of Dungiven who had been imprisoned since his arrest in 1976. A well-known and well liked young man in the closely-knit community of his home town, Kevin was remembered chiefly for his outstanding ability as a sportsman, and for qualities of loyalty, determination and a will to win which distinguished him on the sports field and which, in heavier times and circumstances, were his hallmarks as an H-Block blanket man on hunger strike to the death."